Check Out Volume 2 of these Done For You Kinetic Video Packages that You Can Start Selling to Local Businesses in Your Area! Bankruptcy Attorneys, Dentists, Electricians, Locksmiths, Personal Trainers, Pest Control, Pool Maintenance, Travel Agents, Veterinary Services and Window Cleaners Are All HOT Niches! 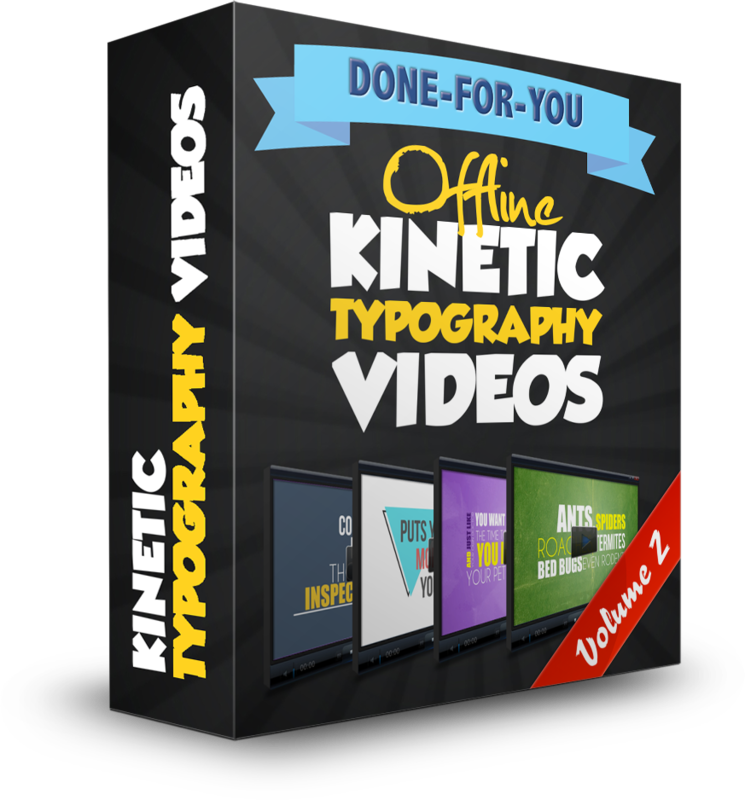 Kinetic Typography Video Pack V2 for Offline Consultants!